I still think of myself as the painfully shy, often sick, little girl who escaped into books. My best friends from high school will tell you I’m famous for “punting” (not the football variety). This involved talking myself out of things I really wanted (often involving men). “Who do you think you are?” I was told when I was young that I had no right to go to private school. I had no right to go away to college. I had no right to move away from home. It would’ve been easy, I suppose, to say, “You’re right,” and lower my expectations. I didn’t, though I was seriously tempted at times. My parents pushed us to succeed and I didn’t want to disappoint them, no matter how much that scared me. But at some point I knew I had to give it my best shot, even if I failed. That doesn’t mean there weren’t nights I cried myself to sleep, wondering if I’d made a decision that would ruin my life. I realize now that I gave up my initial dream – working in the theatre in New York – too soon. I was on track, building a network and experience in Chicago. But I let an emotional trauma sidetrack me and my self-confidence. I still worked in the community for a few more years, but the dream was set aside, a dream I’d had since high school. Many years later, I believe that everything in your past brings you to where you are now. By my own count, I’m on my fourth career. Writing was something I always enjoyed for my own pleasure, but nothing I ever considered doing professionally. I was good at all of my careers. I was a damn good stage manager and a decent director. I raised millions when I was a fundraiser for arts, AIDS and social service organizations, and won national awards when I sold children’s books. But writing…this is different. Writing is terrifying. It’s my name on the cover or byline. I write about myself, not just other people. And that scared the hell out of me. That shy girl was back: the one who didn’t like people looking at her as she walked down the aisle at her wedding. 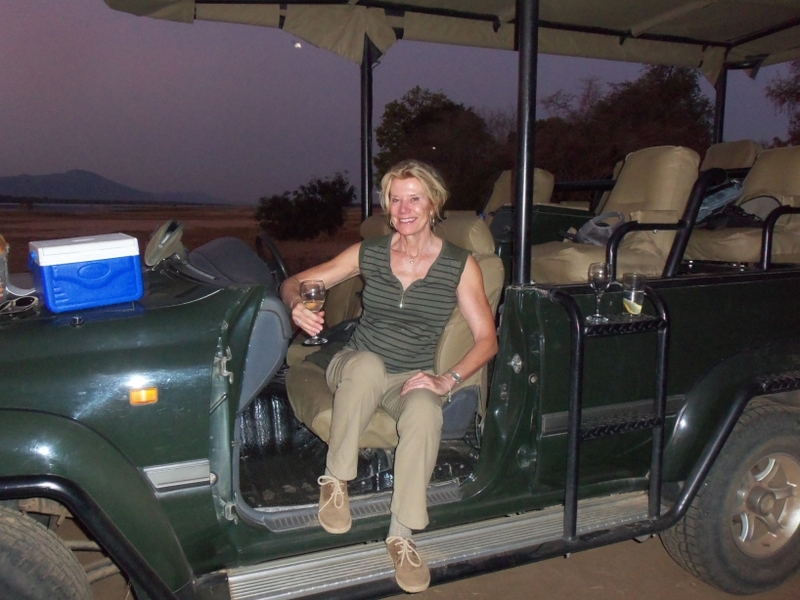 I resisted sharing very much of myself for the first year of my blog. I saw myself as more of a teacher than a friend sharing stories. Changing required a good amount of surrender on my part, and a willingness to put myself on the line in a very public way. But if I was to grow, to succeed, I had no choice. For most of my life, during the course of a conversation I’d recount something I’d done, and the other person would insist “oh, I could never do that.” They weren’t being judgmental about my actions. They meant they could never see themselves doing what I did. I’ve traveled all over the country – and to London – alone. Planes, trains and automobiles have taken me places I dreamed of visiting for experiences I’ll always remember. I’ve moved away from home, without a job or a permanent place to live, to a big city where I knew only two people. I’ve approached strangers – famous or not – with requests: donations, autographs, interviews. Long ago I developed a mantra: what’s the worst they can do? They’ll say yes, no, or maybe. I can deal with all of those possibilities. Gutsy? No, no, no. Part of my job or an item on my bucket list, but no, not gutsy. 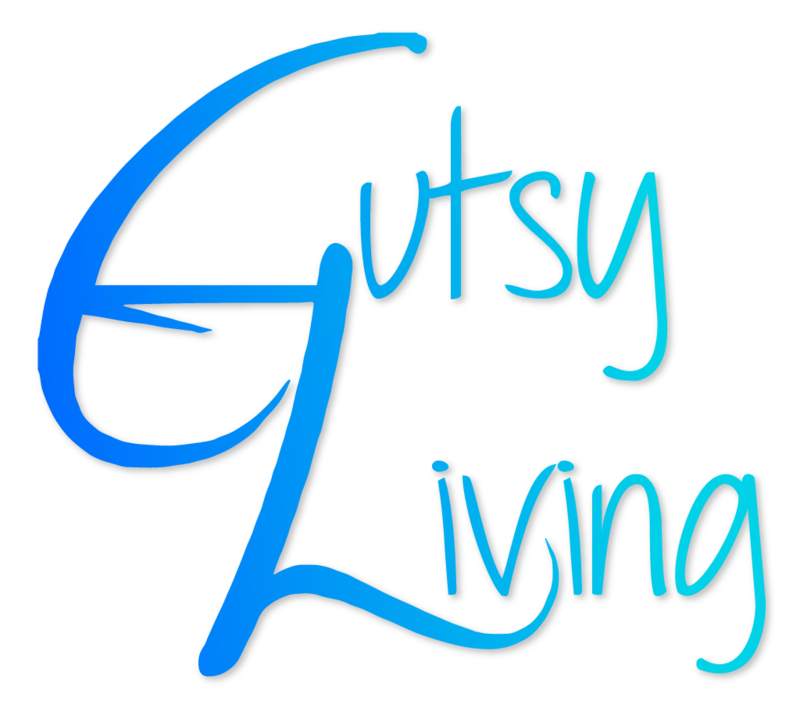 Gutsy is for other people. They’re the ones who do spectacular, public things: walking a tightrope across Niagara Falls, going to war, or performing in front of thousands of people. All right, I did do that last one, but that doesn’t count: I was so near-sighted I couldn’t see past the orchestra pit. Gutsiness is a choice. It might be a conscious one, with a specific goal, like changing careers. It might be completely unconscious, other than the acknowledgement that sometimes you just have to keep trying your best to get through it all, in the hope that something better awaits you. I don’t think we give ourselves enough credit for that. My father used to tell my mother that he could throw me into a tiger pit, and I’d be okay: I’d come out bloodied, but I’d make it. I’m pretty sure he didn’t mean it literally, though for a long time I didn’t understand it. I wasn’t even sure it was a compliment. 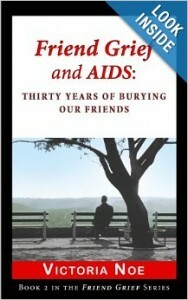 But last year, at the age of 60, I walked into my first ACT UP (AIDS Coalition To Unleash Power) meeting in New York. Does that mean I’m ready to get arrested for demonstrating? I guess it does. I’m definitely ready to be more vocal about the things that matter the most to me. There was a moment, early in the AIDS epidemic, when I made a conscious decision to get involved, because I knew I could help. I remember thinking to myself that I did not want to look back and regret not doing anything. 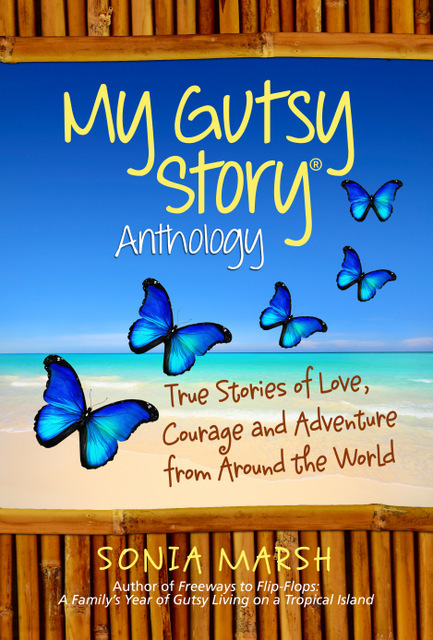 Maybe that’s what it means to be gutsy: to choose to live your life without regrets. Does that make me gutsy? No. I’m doing what I have to do, just like all of you. 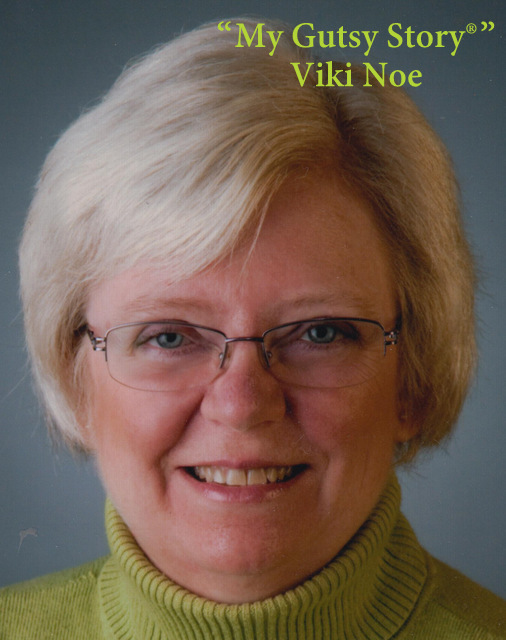 VICTORIA NOE has been a writer most of her life, but didn’t admit it until 2009. She worked in Chicago’s theatre community, and then transferred her skills to being a fundraiser for arts, educational and AIDS organizations. 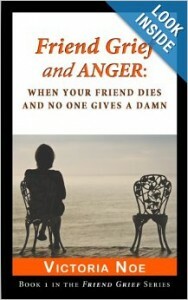 A concussion ended her career as an award-winning sales consultant of children’s books, so she decided to keep a promise to a dying friend to write a book, which became the “Friend Grief” series. 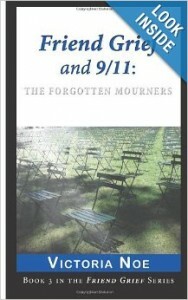 Her articles have appeared on grief and writing blogs as well as Windy City Times, Chicago Tribune and Huffington Post, and reviews books on BroadwayWorld.com. Her website is www.friendgrief.com. 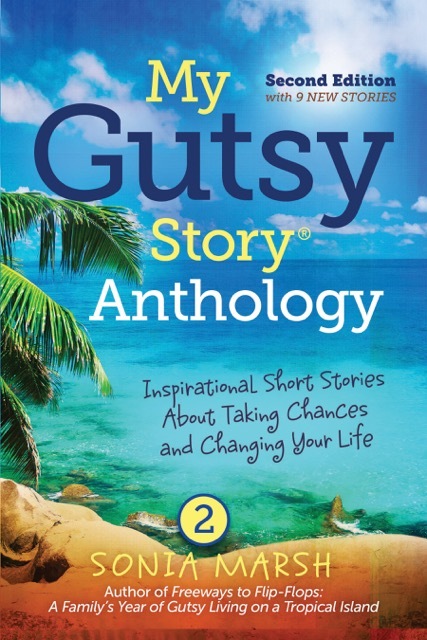 I agree with you that there are several form of being “gutsy.” I love that you have forged ahead in your life and taken risks. 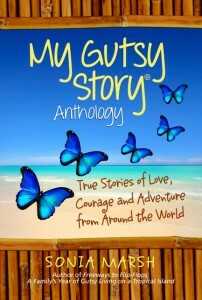 As I say, Everyone has a “My Gutsy Story”, some just need a little help in uncovering theirs. 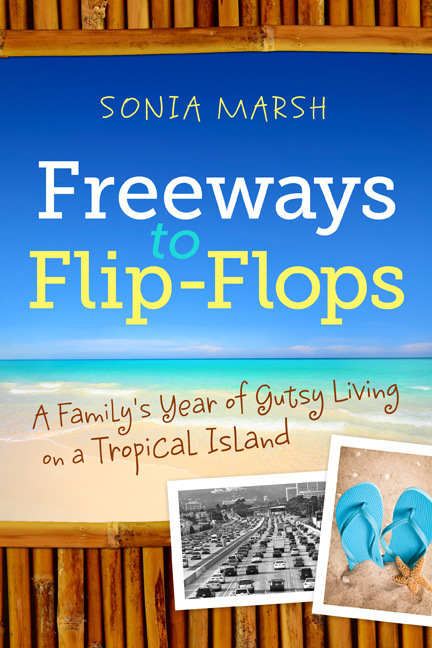 Thanks you, Sonia, for the chance to share my non-gutsy story! Viki, you have shared the gutsiest of stories. Sometimes the gutsiest thing we can do is punt, as you say and “do what we can with what we’ve got, wherever we are” ( Teddy Roosevelt? quote). I’ve watched you soar these past few years and track down a story, a person, a goal until you got what you went after.So whatever you are doing or have done to propel that shy little girl to the empowered women you are today, is working. Bravo! This is a great story. I think it’s too easy to overlook the gutsy things we do. Like I said, sometimes just getting out of bed in the morning is an act of courage. So many people don’t get credit for that. After knowing the writer YOU, the only you that I really know, I couldn’t believe that you were once a painfully, shy little girl. The voice I hear is loud, bold and gusty. Viki, I look to you for courage on the path to standing up, speaking out and owning up to my authentic self. I will reread this great post every time I shake with self doubt about my own writing/speaking ability. You are right- we make gutsy choices every day and sometimes just getting through the day takes the most courage. Oh, Pat, thank you so much for this! The internet has been a great boon for those of us who believe we’re shy. It’s easier to be gutsy online than in person, at least that’s what I’ve found. I hope you will continue to speak out/write, because yours is definitely a voice we need to hear! Thank you, Viki, for sharing this. Perhaps, gutsiness is like beauty–you can’t recognize it in yourself. But I still believe you are gutsy. I think you used a great analogy, especially for women. How many of us consider ourselves pretty? How many of us argue if someone insists we are? We’re often the last people to recognize our own amazingness. Your story resonates with me. I’ve never considered myself gutsy either, but folks often view me that way because I’ve made choices to go after what I’ve wanted. So have you. Thanks for confirming that being gutsy doesn’t have to involve momumental achievements such as scaling Mt. Kilimanjaro or walking a tightrope across Niagara Falls. You are indeed gutsy because you choose to put one foot in front of the other. You’ve always move forward even when you feel shy or scared. Most wonderful of all, you choose careers and projects that transform others’ lives. Your gutsy living has not been in vain. Oh, Flora, thank you so much – you made my day! Viki, you are a truly gutsy lady! I’m so glad that you choose to share your experiences with us, to remind us that sometimes just getting out of bed and taking a step at a time is gutsy. ‘Finding faith for forgotten dreams’ seems to be my theme, and your story has inspired me to continue on my journey, one step at a time. I wish you oceans of blessings in your future endeavors. Thank you so much! I’m so glad I could help!